What would happen if your students knew Jesus, not just knew about him? 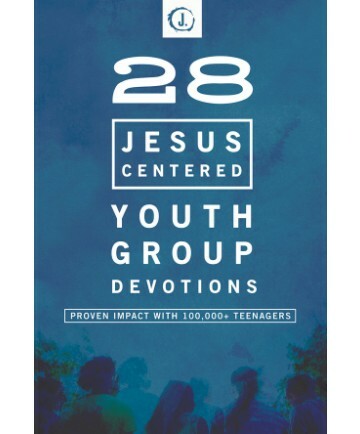 The Youth Ministry Team at Group—the same team that created the bestsellers Jesus-Centered Bible and Jesus-Centered Youth Ministry—has created 28 life-changing devotions that are simple to lead and packed with highly engaging activities. All 28 devotions work together to answer these five essential questions… Who is Jesus? What is Jesus like? How does Jesus help us? How is Jesus relevant to our daily lives? What does it mean to follow Jesus? Each devotion includes… experiential elements that fuel rich interactions, open-ended questions guaranteed to spark lively discussion, key Scripture passages that anchor the devotion and linger long after it, and a leader script you can follow or adapt. Journey together through these devotions, and you’ll create and enrich authentic community as your teenagers spur one another on to a deeper faith. 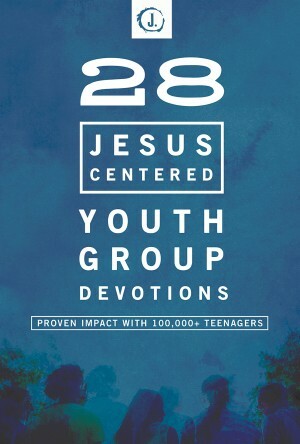 With 28 Jesus-Centered Youth Group Devotions, your students’ hearts will be transformed as they get to know the real Jesus, and ultimately center their lives around him.